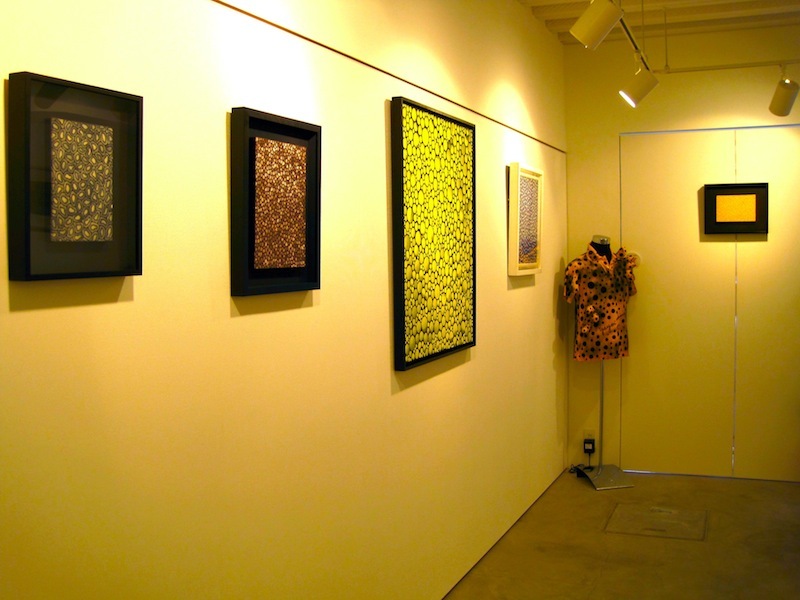 草間彌生　KUSAMA　Dots and Nets | たけだ美術 Takeda Art Co.
2010.11.29 Mon. 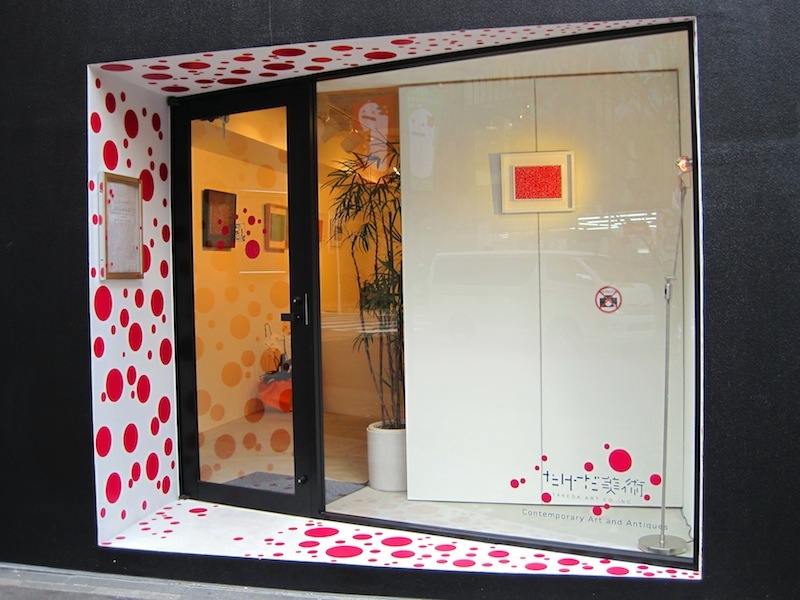 - 12.24 Fri.
Takeda Art Co. is delighted to present a solo exhibition by Yayoi Kusama. This exhibition is the second project in the new gallery space. Kusama has been suffering from hallucinations since early childhood. 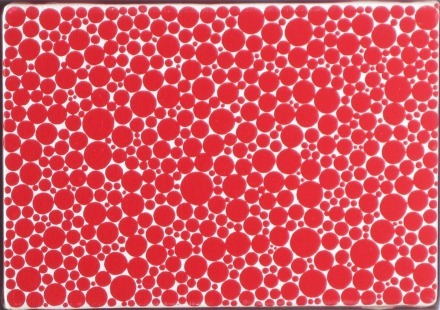 Kusama sees a visionary world of ‘‘dots’’ and ‘‘nets’’ repeatedly appearing as a recurring daily scene in her mind. For example, oil balls floating in the water, diamond-shaped ice clefts on the glass, and infinite strangely waved nets. 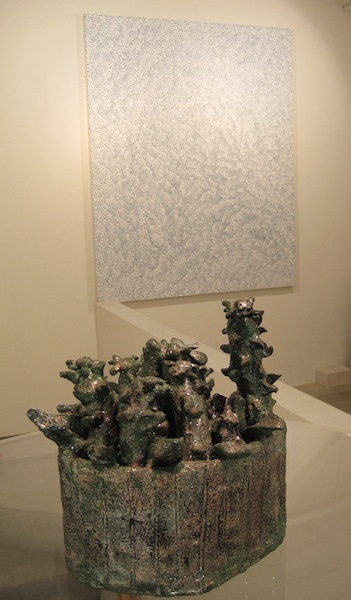 Dots and nets have become identified with Kusama’s work, therefore, we will mainly be exhibiting about fifteen works of her ‘dots’ and ‘nets’ work, which date from the 50’s until recently (2008).